Sportsnet lit up the Mattamy Athletic Centre to capture Matthew Strome’s overtime winner in last year’s rendition of the OHL Cup final. It was a taste of the big time for the next crop of rising stars. 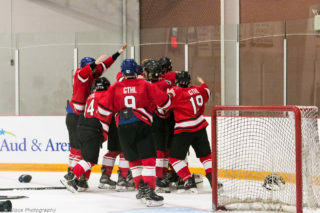 The tournament comes from humble beginnings, though, as the first-ever minor midget showcase was under the lights of Herbert Carnegie Centennial Centre. That was in 2003, when defenceman Marc Staal suited up for the Thunder Bay Kings in an event won by the Toronto Young Nationals on the strength of MVP-calibre goaltender by Jhase Sniderman. Sniderman went on to play parts of four seasons with the Erie Otters and London Knights, while Staal has patrolled the New York Rangers blue line in the NHL since 2007. 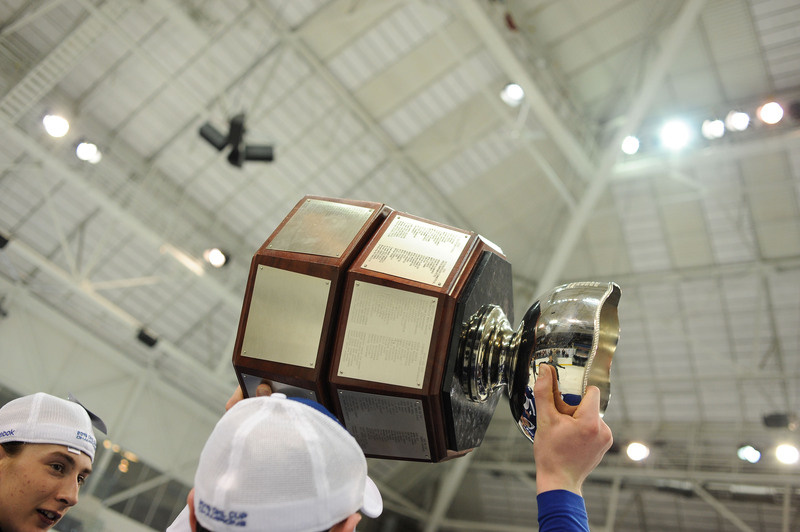 Before that inaugural tournament at the end of the 2002-03 season, the OHL Cup was awarded to the All-Ontario Bantam champions. 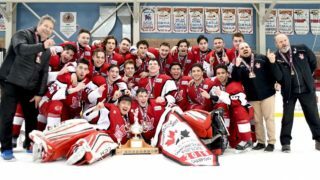 Changes came when Hockey Canada re-categorized the bantam division to age 14 from age 15. Enter former GTHL president John Gardner. Gardner wasn’t about to let the opportunity of showcasing the best players disappear because of a categorical change. 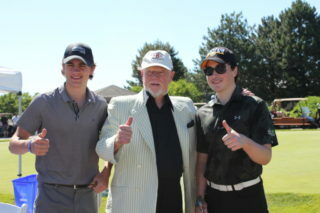 Alongside OHL commissioner David Branch, they set the foundation of the tournament currently being contested in Toronto. The OHL Cup has grown from 16 to 20 teams since its inception, with teams now qualifying rather than simply being selected. 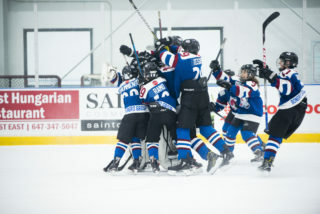 That means a trip to Toronto for March Break has become a season-long goal for clubs from across Ontario and the United States, as the qualification process stretches the entire campaign. The best-on-best play has garnered more than just an honourable mention from Coach’s Corner star Don Cherry. Cherry’s unrelenting support and promotion of this event helped steer Sportsnet to pick up the 2015 championship game for a national broadcast, something they’ll do again this year. 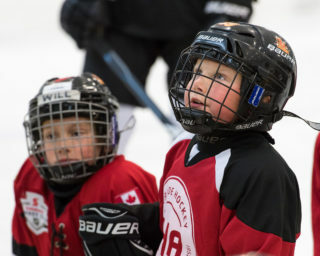 The growth of the tournament has the size of its audience grow with it, as hockey fans are looking to watch the next Connor McDavid, John Tavares or Tyler Seguin before they become recognizable household names. The demand is there and the exposure is following right behind. 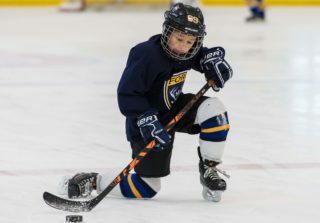 From weekly broadcasts on local Rogers TV channels to nationally televised championships on Sportsnet One, these talented kids are being primed for show time. Excelling in a spotlight only paves the way for what these players are in for once the OHL draft has run its course. Many of these players will join OHL franchises that are often the cornerstones of the communities that support them, meaning constant exposure will become a significant part of their lives. It’s an opportunity for these boys to challenge themselves off the ice, by using their roles in these communities to make a difference. The pressure to perform with the cameras capturing their every move is undoubted, but to translate that pressure into a learning experience is one of the truly spectacular things about youth sports. By no means are these teenagers fully marinated – they still need support and guidance as they learn what it takes to succeed as an elite athlete. The OHL Cup aims to do that, and to help these young men appreciate all the opportunities that lie ahead.